Allegro Dance Project is celebrating five season on the Lyric Theatre stage! 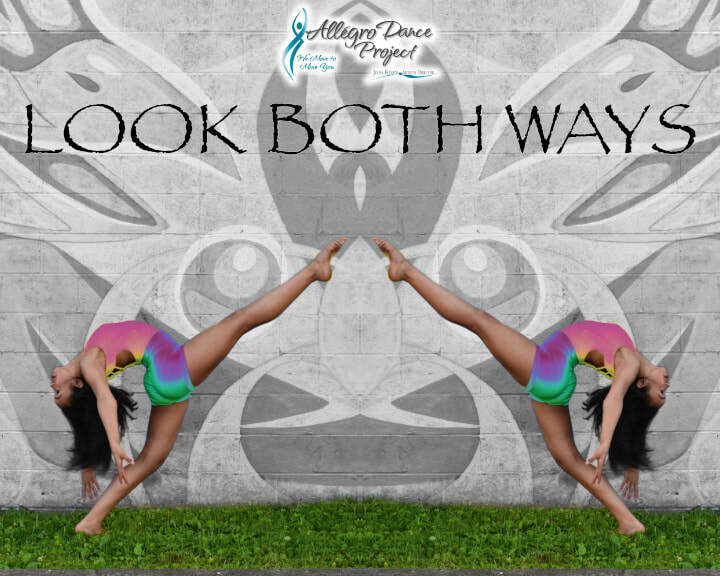 "Look Both Ways" will look back at some of our favorite repertoire from our first five seasons and look ahead at several exciting brand new works as well. This performance will stay true to our performance model by featuring contemporary dance, aerial and circus arts and utilizing live and original music. We will again invite participants of our Inclusive Dance Outreach and Adaptive Dance programs to join us on stage - this time for the closing piece of the show, as a celebration of inclusion. 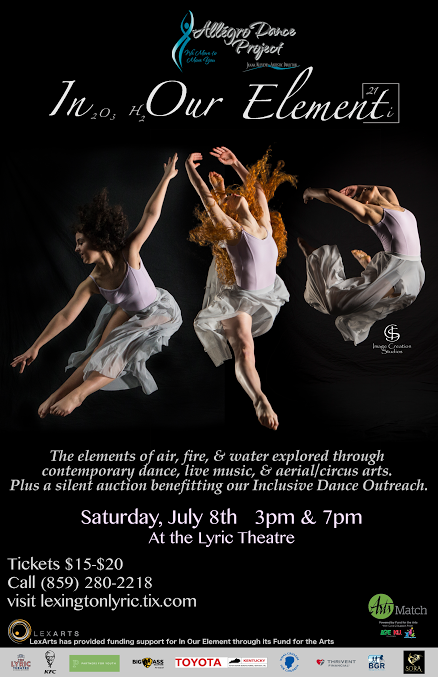 There will also be a silent auction in the theatre lobby to support Allegro Dance Project's Inclusive Dance Outreach program, providing dance outreach and performance opportunities for children with Down Syndrome, Autism Spectrum Disorder and other specific needs in the Lexington area.